For years now the tech industry has been buzzing about Software as a Service (SaaS). Under the SaaS model, users access applications via the internet giving them access to powerful processing and productivity capabilities through a simple web browser. More recently, a paradigm shift has occurred and more and more businesses are starting to outsource their entire IT infrastructures to the cloud, under the Infrastructure as a Service (IaaS) model. With IaaS, companies use cloud computing providers to run and manage servers, data centers, applications, and company email. Instead of having hardware on-site that requires in-house monitoring and maintenance, cloud infrastructures are managed by the cloud service provider. This provides businesses with enterprise level computing capabilities, without the costs and stress of having to maintain systems in-house. A popular IaaS platform is Amazon Web Services (AWS). 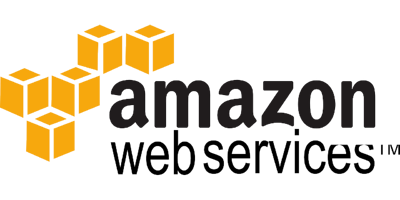 Not only is AWS from one of the most trusted brands in the world, it is highly rated. According to a report by Gartner in 2014, Amazon Web Services was ranked as one of the only two providers in the Leader quadrant as part of their Infrastructure as a Service Magic Quadrant report. Additionally, 2014 was the 3rd consecutive year AWS received this accolade. With powerful computing capabilities and an industry-leading reputation, more businesses are migrating their IT infrastructures to the cloud with AWS. Still not convinced? Here are 3 benefits of migrating your IT infrastructure to Amazon Web Services. One of the greatest benefits of migrating to a cloud computing platform is the elasticity cloud computing provides. No longer are IT departments forced to estimate their computing needs, instead capacity can be increased or decreased at a moments noticed. Gone are the days of buying massive servers in anticipation of a project (and spending a significant amount of money in the process), only to find that a percentage of the server is actually being utilized. Businesses also no longer have to scramble to back-up files or move items into archive to make space for new projects when a physical server nears capacity. Instead, computing power and data storage is easily adjusted via a web dashboard from AWS. As Amazon is responsible for the data and processing for millions of businesses, they have incredible redundancy and fail-safe protocols in place to keep data safe and backed-up. With a 99.95% guaranteed uptime, businesses can be confident knowing that their data will always be available. Plus, end users don’t need to worry about having back-up protocols in place or having to invest in physical media to store old and archived files – Amazon takes care of all of this! The IaaS platform provides two major cost management benefits. The first is that an IaaS such as Amazon Web Services is available as a monthly service. Businesses can stretch their IT budgets across 12 months rather than having to make sure they have large sums of funding available for massive, on-time IT system upgrades or overhauls. Another benefit is that it eliminates the need to continue to purchase and maintain physical hardware which improves IT budgets while saving on cooling and electric costs.